As Catalonia’s independence referendum crisis deepens, EU officials are staying doggedly tight-lipped even as diplomats privately voice serious concern at a situation some regard as a challenge to fundamental European values. The Catalan government’s plans to hold a vote on October 1 in defiance of court orders ruling it illegal have triggered major protests in Barcelona and a major crackdown from Madrid. Catalan President Carles Puigdemont has condemned the “totalitarian and undemocratic attitude of the Spanish state”, after police detained over a dozen Catalan government officials and seized nearly ten million ballot papers. 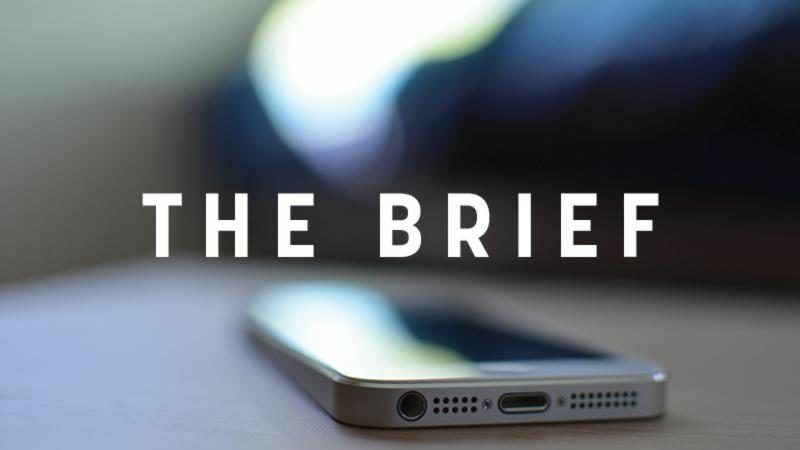 But the European Commission, the EU’s executive arm, has steadfastly refused to comment in detail on what it regards as an internal matter for Spain. From Paris to Bratislava, EU members echoed the same phrasing as they publicly closed ranks behind Madrid in a standoff that Spanish former European Parliament president Josep Borrell told Politico this week had the potential to be “the biggest European constitutional crisis since the fall of the Berlin Wall”. 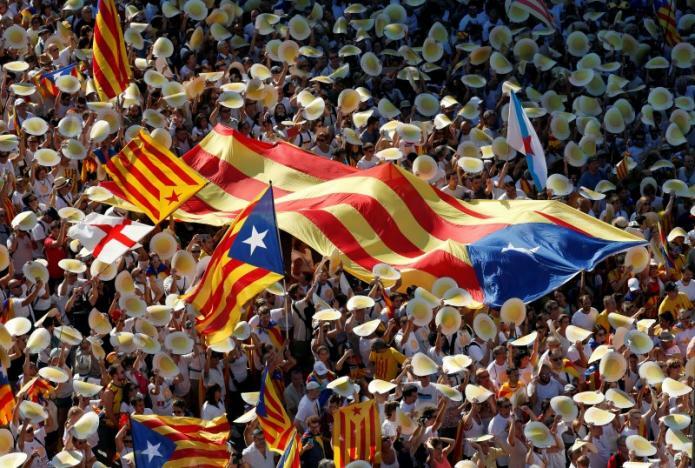 Jeremy Dodeigne, professor of political science at Belgium’s University of Namur told AFP that while the EU could not go against the Spanish government, it would also be reluctant to alienate regional groupings like Catalonia, which are important to development programmes. “At the moment the crisis is too deep and this is too much of a gamble for the EU to take sides or interfere – it’s clearly too sensitive at the moment,” he said. Moreover, regional separatist movements are a sensitive topic for a number of EU members. The crisis has caused even deeper alarm than the Scottish independence referendum of 2014 – which was at least held with the legal consent of London. “Recognising Catalonia would create a terrible precedent for the EU, one which Brussels would find very hard to manage and which every separatist movement would try to use in future,” Dan Dungaciu, the head of the Institute of Political Sciences and International Relations of the Romanian Academy told AFP. The huge rally for Catalan independence on Monday did not go unnoticed in Brussels and in Strasbourg, where most of the EU talking heads are right now. 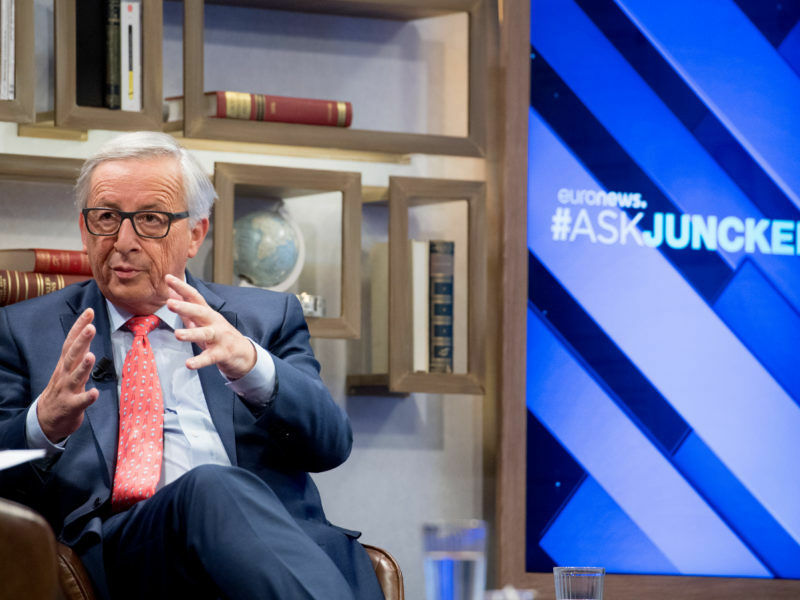 A simple mistranslation of a comment by European Commission President Jean-Claude Juncker on the crisis last week caused days of questions and clarifications in Brussels when it erroneously appeared that he had said he would respect a ‘Yes’ vote. In fact what he said was that he would “respect the rulings of the Spanish constitutional court and the Spanish parliament” – in other words the EU would only recognise a Catalan independence vote if it was carried out with Madrid’s blessing. Jean-Claude Juncker likely infuriated Spanish Prime Minister Mariano Rajoy on Thursday (14 September) by saying that if Catalonians voted to secede from Spain in next month’s referendum, the Commission would respect the outcome. The sensitivity of the issue was also shown when Hungary’s government spokesman Zoltan Kovacs had to quickly backtrack after saying that the “will of the people” should be respected in Catalonia. Zoltan Kovacs initially told reporters on Monday (18 September) when asked about the Catalonia referendum: “The will of the people is what matters” before swiftly stressing that it was an “internal issue for the Spanish and Catalonian people”. Behind the united public front, the wave of arrests by Spain’s Guardia Civil police force this week has caused private alarm among EU states. “Even if they are acting within the law, the Spanish government is handling this situation very badly. 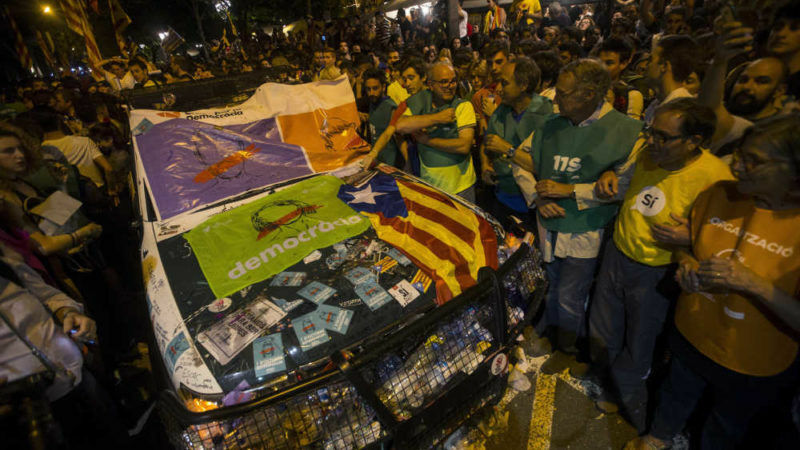 Dispatching the Guardia Civil to make arrests sends out a very bad signal,” a Europan diplomat in Brussels told AFP. Searches by the Spanish forces led to the arrest of 14 people, including some Catalan Government’s top officials. Another high-ranking diplomat said that while the matter was one for Spain, “we are following the whole process with great, great concern”. But Amadeu Altafaj, the Catalan government’s representative to the EU, said that by dismissing it as an internal matter, Brussels was failing in its duty to uphold broader democratic principles. “This is not only about independence, yes or no, is not only about the relationship between Catalonia and Spain… beyond this debate, this is actually about democratic standards in EU,” he told reporters.